Easy to understand tax and financial information, tailor-made for the UK business owner. As a business owner you simply must understand tax, regardless of the size of your business. 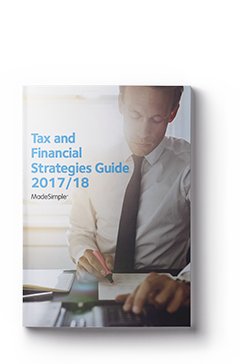 Our Tax & Financials Strategies Guide, written by expert accountants, gives you a whole range of tax tips and planning advice - all for only £7.99. Easy-to-read information with case studies, no technical jargon! Tax and Financial Strategies 2018/19 - Providing you with a whole range of tax tips and planning advice, ideal for UK business owners. Recent years have seen significant changes to the UK’s economic and political landscape. With further landmark changes in the pipeline, it is more important than ever to plan ahead and ensure that you are making the most of your business and your personal finances. We have a long-standing partnership with TaxAssist Accountants who can provide you with a free no-obligation consultation with a TaxAssist accountant local to you, who specialise in small businesses. During the consultation they will explain your accountancy liabilities in more detail, as well as offer an accountancy solution and quote which is valid for 3 months. Request a consultation here. How current is the information in the guide? Very. The guide is totally up date with the 2018/19 tax rates. Yes! We have created a How To Make a Profit Guide and a MadeSimple Marketing Essentials Guides Pack. We also offer a number of free guides and resources that you will find here.